Hello everyone! We’re pretty excited about posting our first trip review and wanted to take a moment to thank you for reading! 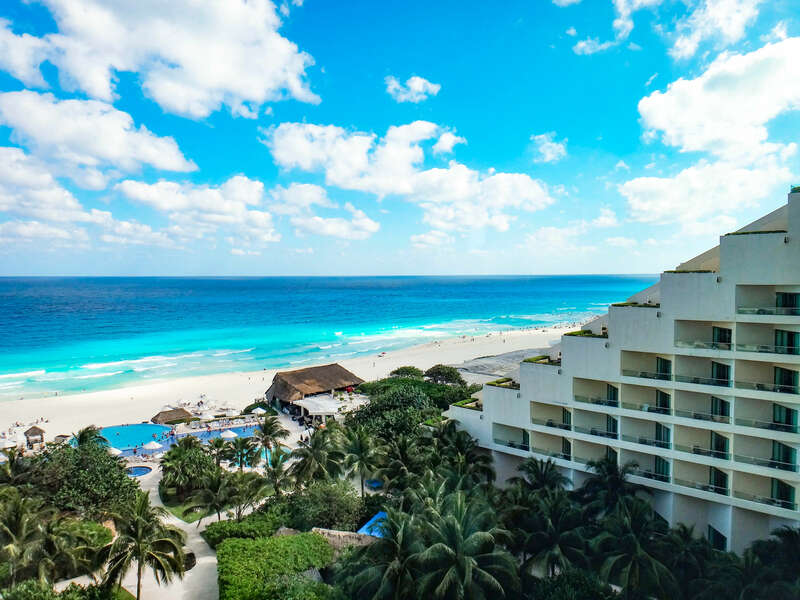 We did our ‘Trip Advisor’ research and read all the Live Aqua Cancun reviews we could. To be honest, we’ve never seen such consistently positive reviews of a resort. Needless to say, we entered with some expectations and were not disappointed. 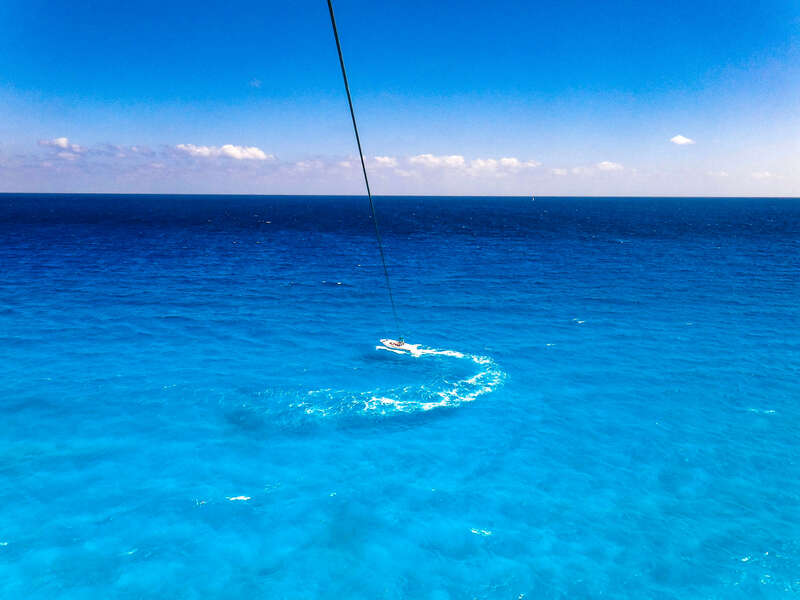 The following is our detailed Live Aqua Cancun review, including tips and tricks along the way. When we arrived at the resort at 2:45 pm we were guided to the front desk with ease and check-in was incredibly easy. Our room wasn’t quite ready yet, however we got a free hand massage, ice tea, and hot towel while we waited the 20 minutes, and it was awesome. We didn’t feel pressured by staff and happily booked a couple’s fusion massage with the lovely Freda. We had a fifth floor Ocean Front room with a King size bed (room 5030), which had a beautiful centered view of the resort and beachfront. The sun rises directly in the center of the ocean in this resort, which gives you an incredible view. The room was beautiful, had high ceilings, marble floors, ample drawer storage, and an easy to use safe. The bed was incredibly comfortable and they offer three different types of pillows. The mini fridge is stocked daily with pop, juice, beer, water, chips, Oreo’s, M&M’s, and granola bars. Our housekeeper, Isaac, even noticed what we kept eating and gave us extra of what we liked. The room was cleaned to perfection daily and we had no problem with the room whatsoever, including no noise complaints. We could hear doors slam a couple times throughout the week, but it wasn’t an issue whatsoever. We also had access to the “Aqua Lounge” on the fifth floor, which served snacks and drinks, had great views of both sides of the hotel and was a nice added feature. The mini fridge is stocked daily with pop, juice, beer, water, chips, Oreo’s, M&M’s, and granola bars. Our housekeeper, Isaac, even noticed what we kept eating and gave us extra of what we liked. The room was cleaned to perfection daily and we had no problem with the room whatsoever, including no noise complaints. We could hear doors slam a couple times throughout the week, but it wasn’t an issue whatsoever. We also had access to the “Aqua Lounge” on the fifth floor. They served both snacks and drinks and had great views of both the ocean and city behind you. Prefer to WATCH a VIDEO? We enjoyed a Couple’s Fusion Massage on our first full day and the masseuses didn’t disappoint. You get to enjoy other treatments for an hour before your massage including a sauna, foot treatment, cold and warm water therapy, and steam room; all comparable to high-end spas I’ve visited in Toronto. My boyfriend and I both agreed that the massages we received from Paulina and Ana-Rose were the best massages we had ever had, ever. We paid about $100 US each for this experience and we couldn’t have been happier. The grounds, beach and pool areas are incredibly well maintained. The chairs are all comfortable and have thick cushioning. There is a lot of swimming space including the infinity pool, a pool bar on the far side, a really cool ledge that has about 6 inches of water that you can lay/tan in, and a nice hot tub. Each pool seemed to have a different temperature which was a nice feature. You do have to get up early or cross your fingers for a good spot at the pool, as with most all-inclusive resorts. The sand on the beach was smooth and soft compared to a lot of the other beaches we walked to down the coast. The water is so incredibly blue it will blow your mind!!! We loved the swings at the beach bar and Jesus was a great bartender and took care of us, always. The service around the pool was great; we never had a problem ordering drinks or food. Worth mentioning is the service we received from Aminael. He always had a drink ready for us when our glasses were empty, a great smile, and always went out of his way for us. Drinks were always perfectly made and they had premium liquors. We didn’t use it, but the gym looked like something from the future and has everything you could possibly need. The two parrots that fly in unison around the resort were a nice touch and made the grounds feel even more tropical. Parasailing and Jet Skiing are also available on the beach, but they aren’t part of the hotel. We did both activities and had a great time. We managed to go to all of the restaurants on the resort and they were all very good across-the-board. We loved room service, it was fast, delicious, and they will bring whatever you ask them for (even if it’s not on the menu). There was a tiny café that we frequented which had great tasting coffee and many treats, try the caramel pecan tart and the chocolate mousse cake, soooo yummy. 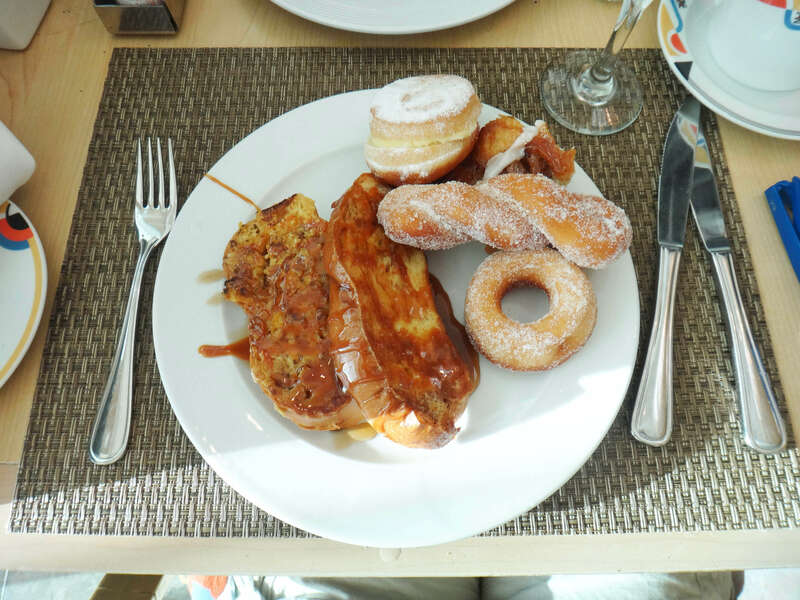 We loved going to Siete every morning for the breakfast buffet. They have a French Toast Bar, an Omelette station, cereal station, and various meat, veggie, and fruit options. There are salads, amazing selection of pastries, and smoothies available as well. We loved going to Varenna for lunch. Aminael and Miguel always made our experience there wonderful. You should try their drink of the day, you won’t regret it! If we weren’t there we were at Azur for lunch which was always great. We would always head over to the Sushi Bar for a pre-dinner indulgence. The sushi was always fresh, tasty, and prepared promptly. Esteban and Vanessa were always a pleasure to see. We loved going to Azur and MB for dinner. What really made our dinner experience was the phenomenal service, specifically Christian at Azur and Omar at MB. Our meals were always cooked to perfection, were plated beautifully, and I especially loved the Habanero Soup at MB. The second last night of our stay we went to Azur for dinner and our server Christian recognized that we had not yet been there for dinner during our stay. After an incredible meal, Christian invited us to return the following night for our last dinner and told us that he and the chef would prepare us a special meal. We returned the next night where we enjoyed our own table on the patio. Christian came, took our menu’s, and told us that the chef would prepare any meal we wanted. They made the most incredible surf and turf/pasta dinner, a flavorful goat cheese salad, and created our dessert before our eyes in an incredible fire show. It was beyond anything I’ve ever experienced. We were able to meet Chef Francisco, the amazing man who made our meal and were flattered that he took the time to come meet us and prepare us such a magnificent meal. Christian truly made our trip; we had such a fantastic experience with him. On our last morning, we were lucky enough to bump into Chef Eric who invited us to come to his restaurant that night. We told him that we were, unfortunately, leaving that afternoon. He spoke to us about our experience there and shared his story as a Chef with us. By the time we returned home we found that he had sent us an email apologizing for not being able to have cooked us a dinner that night. He was gracious enough to send us many of the recipes we enjoyed, which blew us away. Overall, Live Aqua Cancun gave us the most incredible service we have ever experienced, anywhere. The staff really did go above and beyond and made us feel like royalty. As such, these are very hard working staff and they do their job incredibly well. We’re already planning our next visit, we need a part two Live Aqua Cancun review! We can’t stop reminiscing about our vacation. Live Aqua Cancun is truly paradise. 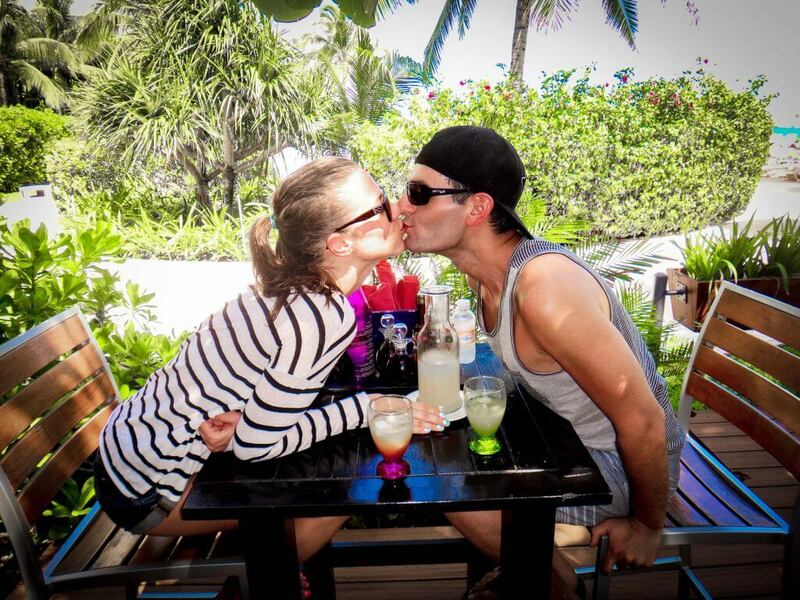 If you’re an all-inclusive lover like we are, check out these other all-inclusive Top Resorts in Mexico! Have you visited Live Aqua Cancun? Tell us a highlight from one of your adventures in the comments below!